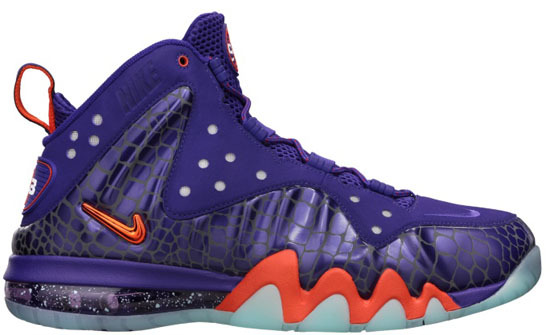 The latest colorway of the Nike Barkley Posite Max releases this weekend. Inspired by the Phoenix Suns team colors. 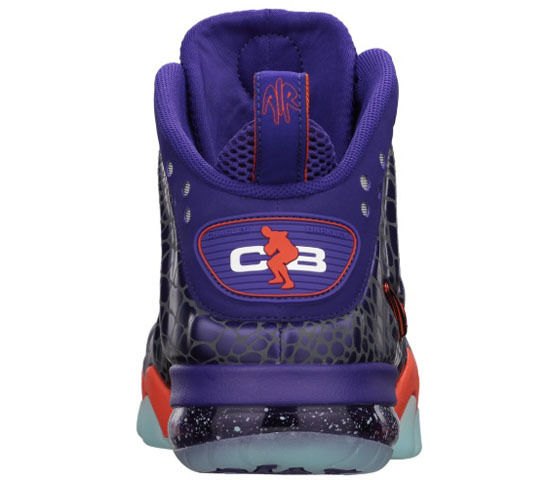 This Nike Barkley Posite Max was inspired by the second team Charles Barkley played for during his NBA career. 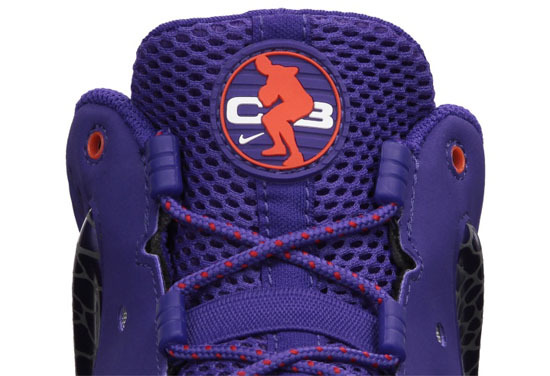 They come in a court purple and team orange colorway featuring a purple based upper with orange accents sitting on a glow-in-the-dark outsole. A limited release, look out for these at select Nike accounts worldwide on Saturday, May 18th, 2013. Retail is set at, $235. Enjoy the official images of the "Phoenix Suns" Nike Barkley Posite Max in court purple and team orange below. If you're planning to pick these up when they release, be sure to check in with your local spots to see if they will be receiving them. Those of you looking to grab a pair now can, click here to buy them on eBay.